SEES conducts a comprehensive workshop program open to everyone on campus. 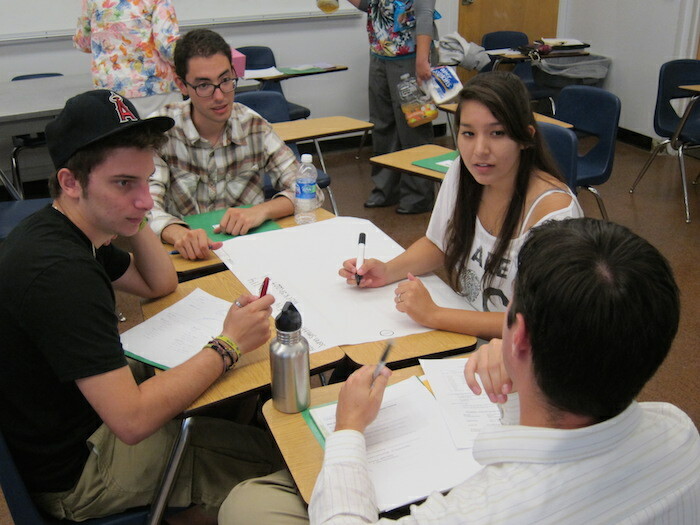 Academic Excellence Workshops (AEW) are group study sessions led by trained facilitators. AEW’s promote excellence and facilitate mastery of course content through group interaction. AEWs are offered in the foundation courses of Mathematics, Chemistry, and Computer Science. For foundation courses in Biology and Physics, students are encouraged to take the recitations offered by those departments. Participants in the SEES Academic Excellence Workshops (AEW), after enrolling in the targeted sections are regularly attending workshops, earn higher grades, have a higher retention rate, and graduate sooner than non-workshop participants. Many participants go on to become facilitators themselves, reinforcing their own knowledge while helping others and earning income to help support their education. Advanced group-learning techniques for subject mastery that incorporate problem sets and expand student capabilities beyond the normal curriculum. Student-centered learning environment (vs. a teaching environment) in which students demonstrate subject mastery to peers and learn test-taking skills. This work develops student skills in communication about technical issues and the ability to work effectively in groups. Close and continuous (weekly or more often) status/progress meetings between the supervising faculty member(s) and the workshop leader(s). Success oriented: aimed at high grades and no failing grades. A supplemental learning experience that is closely related to a specific technical course. The workshop process includes integrating the course material into subjects that come before and those yet to come.